We would like to invite you to participate and share your opinion with the world. This is an opportunity to give feedback to companies, local governments, and products sold in stores. We offer web based surveys and in home product trials. You will receive cash rewards for your participation. 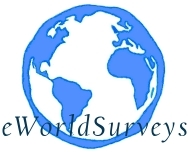 Registering with eWorldSurveys, you will have the opportunity to participate in research topics that are of interest to you. This allows you to speak directly with manufacturers about your likes and dislikes about their products. In most studies, participation is measured in sample sizes of 300. Your voice has an influence. Your participation is anonymous and your information is guaranteed by Cint in accordance with personal integrity laws and kept encrypted. Please contact us if you have questions.